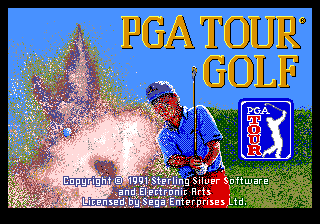 PGA Tour Golf is a golf game published by Electronic Arts and is the first in the long line of PGA Tour games (which have been released almost annually since the introduction of this game). It was engineered for the Sega Mega Drive, though Sega Master System and Sega Game Gear ports published by Tengen were released later. Main article: PGA Tour Golf/Magazine articles.